One of the first tomato harvests from the Therapeutic Gardening Program. 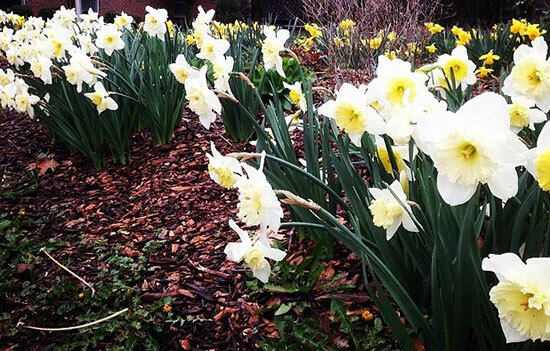 Daffodils in bloom in one of the pollinator flower beds. Daffodils are excellent for flower dissection activities as well. The soil at the Psychiatric Crisis Stabilization Unit was poor in nutrients and did not retain water well. 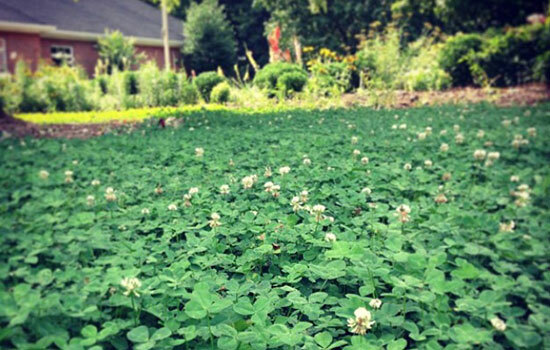 We converted several lawns into fields of clover and amended the soil with compost. Kids at the crisis unit enjoyed participating in garden construction projects such as building bamboo trellises for tomato plants in the spring. Years of amending soil, community support, and mulching. The land surrounding the once sterile facility was eventually converted into healthy, blooming gardens. For thousands of years, humans/people have turned to the earth for food, relaxation, and calming beauty. More recently, gardens have become a retreat for therapeutic healing. Therapeutic Gardener Bilal Sarwari 07Ox 09C shares his passion for cultivating food gardens with teens who have suffered major psychiatric crises. With startup permission granted and limited funding, Sarwari quickly proved his concept. Now the View Point Health Therapeutic Gardening Program is fully integrated into patient recovery and has become a fixture at View Point. 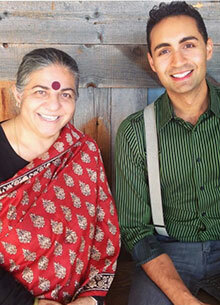 She is pictured here with Bilal Sarwari (right). To begin, Sarwari looked back on lessons learned during his time at Emory. As the founder of the Slow Food USA’s Emory Chapter, he has long advocated for food that is produced and harvested in a way that is “Good, clean, and fair.” Slow Food Emory strives to reconnect students to the soil, water, organisms, cultures, and traditions salient to the production of food and establish sustainable communal interactions. 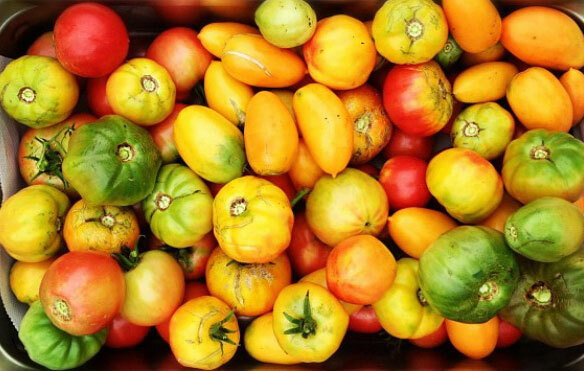 Slow Food Emory seeks to invigorate genuine interest in food policy and production, encourage student involvement with the local sustainable food community, and encourage an appreciation for the importance of food in our daily lives. Having seen firsthand the impact of Slow Food Emory, Sarwari sought to replicate methodology in his View Point Health program. To begin, Sarwari lay the groundwork for gardens, then invited the kids to join him. “I have put everything I learned through Slow Food into this program,” he says. “The kids helped to plant everything – seedlings, flowers, shrubs, and bulbs. Now they help to maintain and harvest the garden, and they get to enjoy the fruits of their labor." 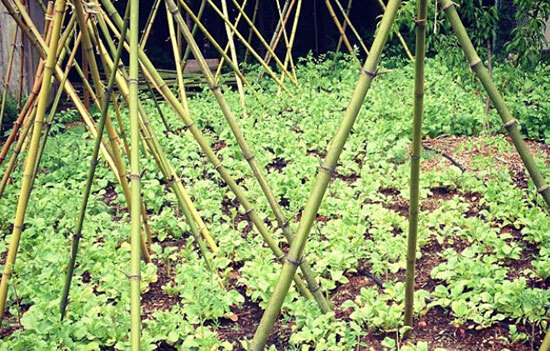 Would you like to start your own Slow Food garden? Sarwari recommends these steps. “Start small to ensure success. Begin by identifying a plot of land that has adequate sunlight and access to water," Sarwari suggests. “Once your garden area is defined, take the most important first step: amend the soil.” To increase output and quality, garden soil can be supplemented with organic compost and fertilizer. 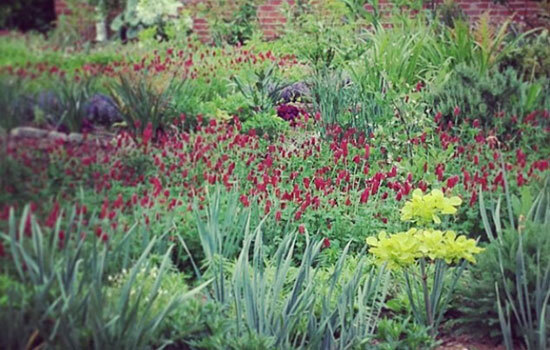 “Stick with native plants at first and check what varieties will do well in your garden’s regional zone. Native plants have qualities we often take for granted, and you’ll have the best success with these if you’re just starting out,” he recommends.